Recently, I spit in a plastic tube and mailed it to California. 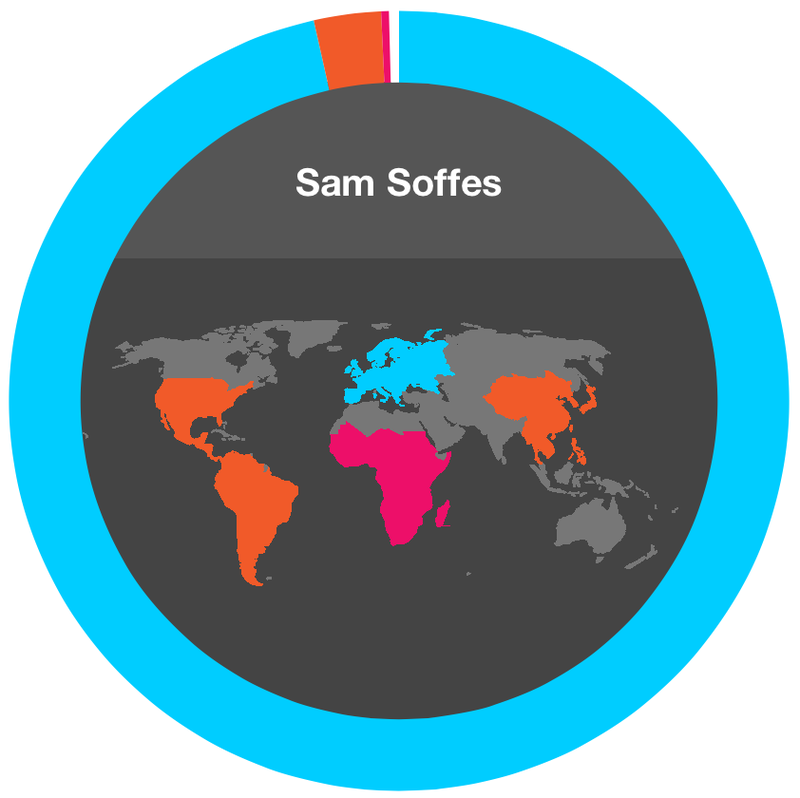 While that sounds like a fun prank, it was to get my DNA tested by 23andMe. The first few minutes of this video show the unboxing/spitting. 23andMe is a really neat company that has been around since 2007. They process your DNA and tell you what it means. It's only $99 to get yours tested. Here's the highlights from my results. It's crazy how all of them were right on. Fascinating. It also shows tons of diseases and your risk for them. Here are a few that are below for me. Of the ones that had increased risk, none of them were too scary thankfully. Before they tell you a few of them, they present a ton of information and you have to click I understand before they tell you the result (Alzheimer's for one). Thankfully, I have a lower risk for all of those. This wasn't as interesting to me as the health/traits stuff, but still pretty cool. I posted my genome on GitHub: github.com/soffes/dna. You can download it and look through my source code. Pretty fascinating. For iOS development, I don't use Interface Builder. I haven't willfully used a NIB (when I say NIB, I mean Interface Builder file, not the specific format) since iOS 2.0. In the past, I've worked with a few folks that really liked using Interface Builder. This is an argument I've had over and over. Instead of mindlessly arguing on one side or the other of this, here's my go to points when I'm trying to win someone over. Choosing to be explicit is my number one reason to do things in code instead. If someone new to the team opens up a view or view controller, they can see right away where everything is and not have to wonder if this file has a NIB.